OK-SAFE Inc. – Evidence of the powerful RFID lobby in the Oklahoma Legislature, the bill prohibiting RFID tags in the OK drivers license will only be heard in committee if the author of the bill agrees to new language allowing RFID tags in the Oklahoma drivers license. Rep. Steve Martin, vice-chair of the House Public Safety committee, has offered a proposed committee substitute for HB 1399, by Rep. Paul Wesselhoft. Martin’s proposed language is a backdoor attempt to allow the state to imbed RFID tags in drivers licenses and state issued-identification cards, while limiting their use. 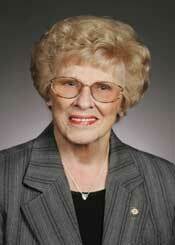 If Wesselhoft refuses Martin’s new language, committee Chairman Rep. Sue Tibbs will not allow the bill a hearing. If the bill’s author agrees to the substitution, and that language passes, the state will have opened the door to having RFID tags in the drivers licenses, the very thing HB 1399 was trying to prohibit in the first place. Both Tibbs and Martin blocked this bill last session, when the bill was originally introduced. OK-SAFE recommends that Wesselhoft rejects the Martin committee substitute language. 7. The Department of Public Safety shall be prohibited from embedding, affixing, adhering or assigning any radio frequency identification (RFID) tag to any driver license or identification card. The Department shall further be prohibited from utilizing any type of RFID ink in any format or configuration onto or into any driver license or identification card. As used in this paragraph, “radio frequency identification” means a data collection technology system that uses electromagnetic or electrostatic coupling in the radio frequency portion of the electromagnetic spectrum to transmit signals that contain unique identification or location information of persons or products. a. ) The conveyance of information of any kind concerning the owner or subject of the driver license or identification card not presented in the legible text of the driver license or identification card. b.) The capability of the card to be remotely read while being held in a wallet or purse. The proposed language and section a.) does not prohibit a RFID tag in/on the state drivers’ license or identification card. It allows an RFID tag that contains some information. In other words, it’s a way to put RFID tags into the state drivers licenses and ID cards, while limiting the information to be the same as what is readable on the card. If put into place, this language can later be amended to expand the RFID data requirements. Further, section b.) does literally nothing to protect the RFID tag from being remotely read. Because people have to take their driver’s license out of their wallet or purse so frequently – i.e. writing a check, getting a prescription, getting a credit card, for ID when making a return at a store, to get into some buildings, to buy an airline ticket, to board a plane, etc. – their drivers license is exposed a great deal of the time, leaving plenty of opportunity for it to be read remotely. OK-SAFE believes this is an attempt at slight of hand and again recommends Wesselhoft rejects the Martin/Tibbs proposals. For several years OK-SAFE, along with most Oklahomans and the rest of the United States, has objected to the REAL ID national/international ID card and the continued expansion of the collection of personally-identifiable biometric information from the everyday citizens by the government. We’ve issued position papers/fact sheets on the REAL ID, (REAL ID, A Global Security Envelope), and asked the moral question: Is it right for Oklahoma to collect biometrics from its’ citizens? (REAL ID – Objections). Photo: L-I Identity Solutions, DL contract holder in Oklahoma. We’ve written language preventing the imbedding, or affixing of an RFID tag in the OK drivers license – twice. It passed the first time in 2010, but Brad Henry vetoed the anti-RFID chip bill in a maneuver that was planned ahead of time with the Republican-led legislature. Fallin’s administration wouldn’t even allow the bill a hearing this year. ALL of the proposed legislation objecting to the expansion of the collection of personally-identifiable biometrics on the OK drivers license or to protect the privacy of citizens have failed – whether the objections were based on civil liberties concerns or moral and religious objections. None of the requests for restoration of the protection of the rights of innocent, law-abiding citizens have been allowed, in either Gov. Henry (Democrat) or Gov. Fallin (Republican) administrations. It is evident that educating the elected officials about the dangers of a national/international ID hasn’t worked; objecting to legislation expanding the biometric “collection net” hasn’t worked; sponsoring legislation that protects religious freedom hasn’t worked; protecting civil liberties hasn’t worked. Writing meaningful legislation, single subject, or multi-pronged, hasn’t worked. One Oklahoma woman – wife, mother, Christian – has made the difficult decision to not renew her biometric Oklahoma drivers license in order to bring this issue to court, the only option left to the concerned law-abiding citizens of Oklahoma. That brave woman is Kaye Beach. Recently, (June 28, 2011) FOX 25 News in Oklahoma City featured Kaye in one of their Top Stories – video and story here. OK-SAFE recognizes that the decision to go to court was not made lightly, and was made only after all other legal options were exhausted. As a matter of course, what remains is to bring this issue to court. OK-SAFE supports Kaye Beach in this effort and asks that anyone who can, to please contribute to the Kaye Beach legal defense fund. Prayers are appreciated as well. Kaye Beach, P.O. Box 722381, Norman, Oklahoma, 73070 (please write legal defense fund in the memo section of your check or money order). For those that wish to use a credit card (click here to donate) to Kaye’s legal defense fund. This fight is really for all of us – please help financially, if you can. In the early morning hours of 04 June 2011, a lady in Norman, Oklahoma receives a traffic ticket from local law enforcement. The lady is a former small business owner, a good mother, a Christian, and a loving wife who has just finished a long day of work related research and activities. The reason for the stop is not a moving traffic violation and the citation she ultimately receives is for an expired, Oklahoma state issued, drivers license. How do I “know” these things? The lady is Kaye Beach…and she happens to be a dear friend. A hair-dresser, turned researcher, turned activist – Kaye had, just a few months earlier, made the very difficult decision to no longer bow to the unjust demands of government relating to her driver’s license that she believes to be morally wrong, unconstitutional, and unnecessary. Oklahoma requires both fingerprint and a facial-recognition-compatible photo to be placed on the drivers license (BIOMETRIC IDENTIFIERS). Kaye, like many Americans, views government collection, storage, and dissemination of very personal and unique individual characteristics as a potential threat to privacy, autonomy, personal freedoms, and individual liberty. She also happens to know quite a bit about REAL ID. Contrary to what many Americans may have heard, REAL ID is not dead nor is this INTER-national identity scheme even close to becoming an endangered species…YET. REAL ID was passed by FEDERAL lawmakers in 2005 to mandate all state-issued drivers’ licenses met FEDERAL and some international standards…these minimum standards are known as REAL ID compliance benchmarks. It must be noted that 26 states appeared to push back against this federal intrusion into state affairs by passing laws and/or resolutions against participation in REAL ID…Oklahoma is one such state. Knowing this, Kaye repeatedly attempted to renew her DL without submitting her biometric information. The standard low-resolution photo (which is virtually indiscernible from the digital facial-recognition-compatible sort) is no problem. The digital, high-resolution, photo allows for an individual to be “scanned” from afar without knowledge or consent. From local DMV office to the state-level, she asked questions and the result was the same…submit your biometric identifying information or you will be unable to renew your license: Have a Nice Day! Seemed a bit “strange” for a state that vowed non-compliance with REAL ID mandates. Representing a firm called HID Global, big government lobbyist Jim Dunlap is wheeling and dealing his way into amending HB 2569, a bill currently working its’ way through the OK legislature and which prohibits imbedding/affixing/adhering a radio frequency identification (RFID) device or RFID-type ink into or on to the OK drivers license or state-issued identification cards. HID Global and lobbyist Jim Dunlap want to amend this bill to allow for tracking chips in the OK drivers licenses/ID cards. HID Global, of course, just happens to make RFID chips and other tracking technology. OK State Senator Dan Newberry, the Senate author of HB 2569, initially said he would be honored to run this bill, agreeing with the principle that people are not inventory to be tagged and tracked. However, Senator Newberry, after a visit this past week by the special-interest-group-paid lobbyist Dunlap, now appears to waffling in his position. Parroting the same talking points as lobbyist Dunlap, Newberry offered OK-SAFE the ‘opportunity to draft language as tight as possible’ to both prohibit RFID chips in the OK drivers license…and allow them. 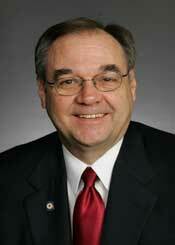 Senator Newberry, OK-SAFE suggests you read the bill you agreed to carry. HB 2569, as written, is already as tight as possible on this issue by prohibiting the privacy-busting chip in the OK drivers license. Are you now saying you want to open the door for future ‘chipping’ of the OK drivers license? Do you really want to be known as the Senator who did that? OK-SAFE declined the offer and will not be party to an effort to open the legislative door allowing for future tracking devices to be imbedded in the OK driver license. HB 2569 sailed through the OK House on 3/4/10 with a veto-proof majority (76-13) and, due to it’s popularity, had 2 additional House members signed on as co-sponsors, bringing the total House co-sponsors to 8. HB 2569 passed out of the Senate Appropriations Committee by a hefty majority vote of 17-3 on Wednesday, 3/31/10, with title off. HB 2569, as currently written, has $0 fiscal impact. Per Appropriations Chair Senator Mike Johnson, and Senate rules, bills with $0 fiscal impact and with title off may be moved to the Senate floor and avoid going to what is called ‘conference committee’, where members meet informally in the halls, and where shadowy amendments get added to bills, which is what the lobbyist is pusing for. Surely Senator Newberry doesn’t want to be known as the legislator who opened the door to tracking chips in the OK drivers license? This is avoidable. Senator Newberry has the power to avoid having HB 2569 going to a ‘conference committee’, and can move it to the Senate floor. Once on the Senate floor, Senator Newberry can move to restore the title and pass this popular bill, in its original format. Please call Senator Dan Newberry and ask him to stand strong on the original language in HB 2569, and move the bill to the Senate floor for a vote. Tell Senator Newberry to ‘resist the chip’. To see campaign contributions, click on Campaign Reporting, then follow the links to see the C-1R reports of campaign contributions.